I started Baking Queen back in November of 2011 and I had no idea it would turn into something so phenomenal. God had big plans that I just couldn’t fathom. All I wanted was to sell some pies for a reasonable price to buy my boys an outdoor play set for Christmas. I ended up making over 85 pies for Thanksgiving alone. Through the holidays business boomed and the boys got that play set! 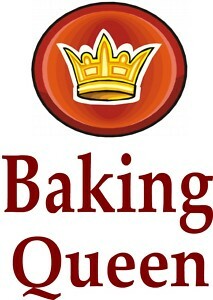 I decided to keep Baking Queen alive and going through the regular calender year just to see what happens. Lots of people get their starts from small little things like this. Paula Dean for example started selling pies door to door to make a living for herself AND her sons after her husband passed away. Diabetes aside, that’s still pretty amazing stuff! I love to cook and who doesn’t like a little bit of extra spending money? Meet Gen. And her sweet baby girl, Emilia. She bought two crust-less quiches from me and took them to work with her!! Doesn’t sound genius does it? Oh, but it was! Gen works with Mrs. K and “The Doctor” who saw these quiches and had to know who made them! What’s so amazing about Mrs. K and “The Doctor” you say? It just so happens that these two extremely busy individuals are trying to change their eating habits and LIFE by switching to a plant-based diet! Having seen the documentary FORKS OVER KNIVES themselves, they wanted to change their lifestyle, had no idea where to start nor the time to cook. This girl right here, *pointing* told them about me and my business! How I love to cook a plant-based diet for my family. How I’ve started my own mini cooking business and that I would probably love to make meals for them. After a few emails and phone conversations. It was a done deal. From now on, I would be getting paid great money to take weekly orders from both of them for FORKS OVER KNIVES cuisine, make it, package it and delivering it to their place of employment. Oh how it makes my heart sing doing God’s work. His plan is so much bigger then I could ever imagine. I am just as blessed to have these people in my life. What blessings its bringing all around to everyone! Next Post The Brown Boy’s Veggie Burger!